I have a few pieces that I'm going to show you over a number of weeks. 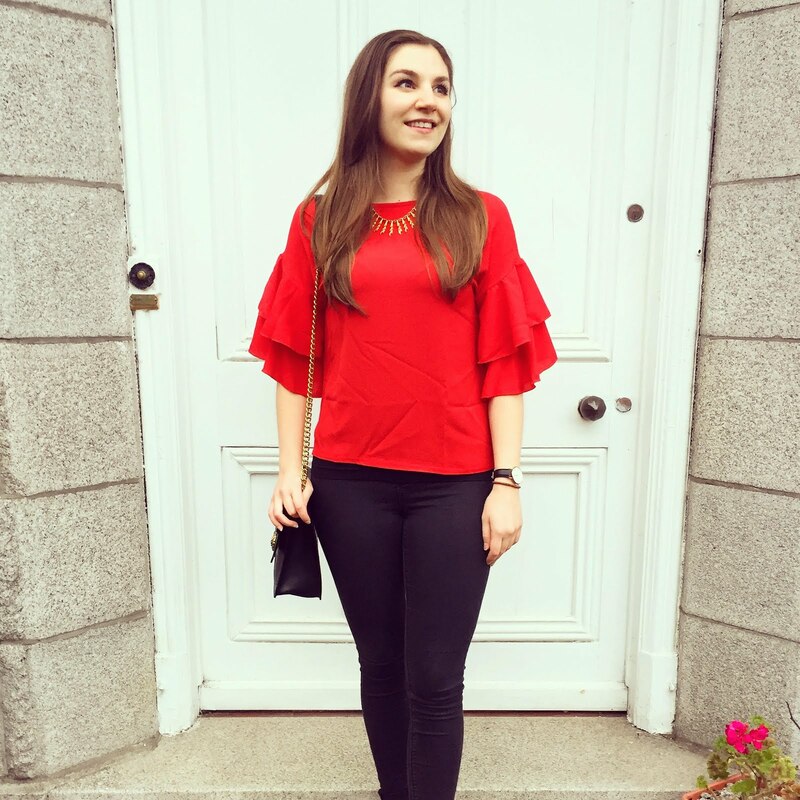 Here is outfit one: I decided to choose a bright red coloured top. I don't actually own anything red so I wanted to have fun and experiment with my style (that's what fashion is all about, am I right?). 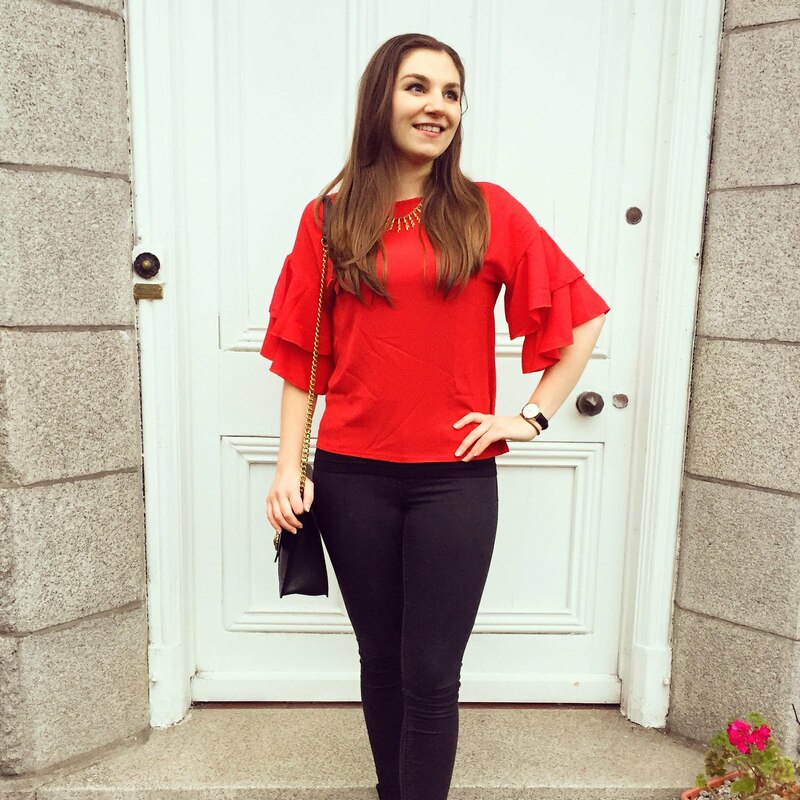 I also fell instantly in love with the frill style sleeves - Yes, I might resemble the red dancing flamenco emoji lady - but I love it! I'm really taken with the colour now that I took the plunge with this one. I was worried the colour might make me look incredibly pale but I fell instantly in love with this top. And, want to know the best bit? It's only £5. Yes that's right, five whole pounds. 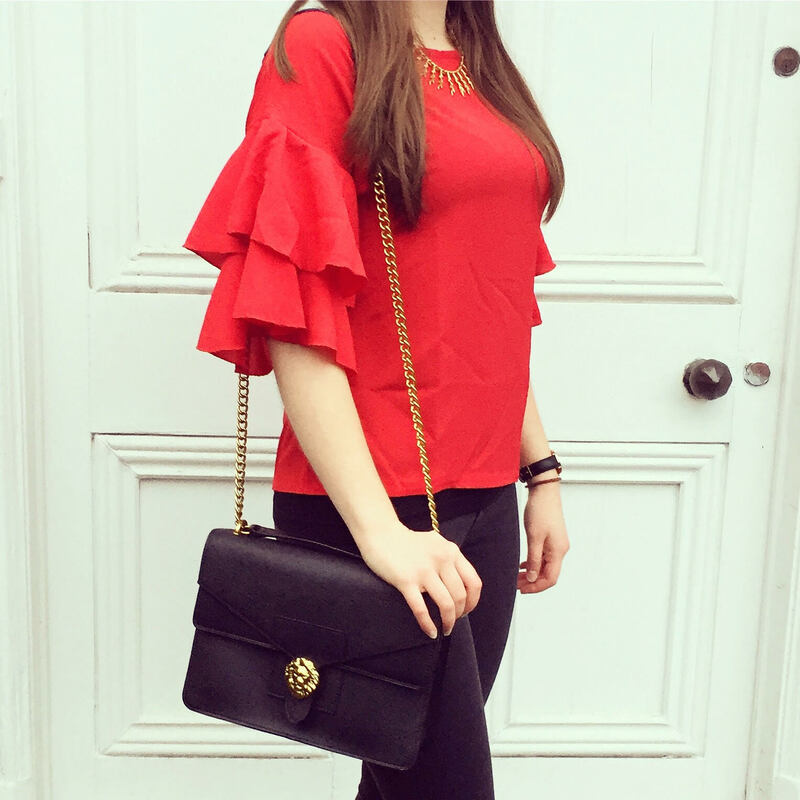 Make sure to grab yourself a bargain and get this beauty in your basket right now - this will look perfect paired with black skinny jeans and a gold statement necklace, great for any night out, dinner and party! I love the contrast between the red of your top and your black jeans - and you always look great in skinny jeans! Top is lovely! I like when you switch up your outfits and wear some jeans!